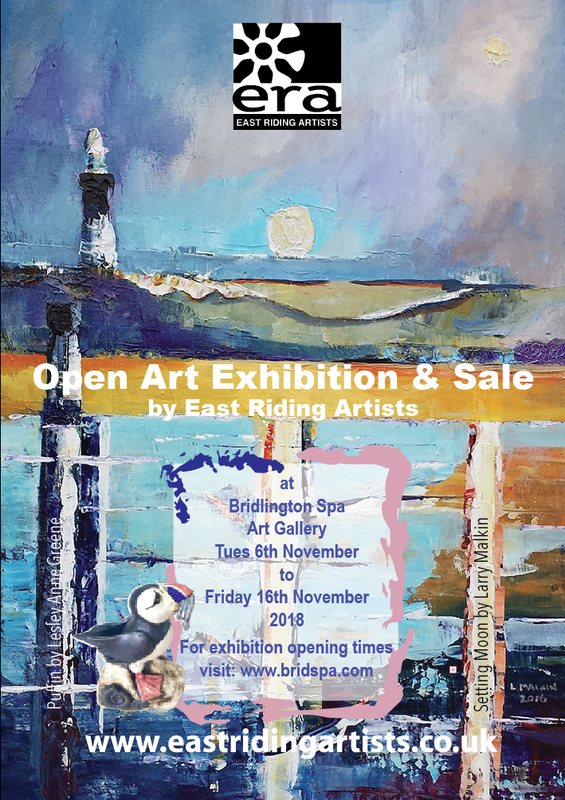 ERA is holding its annual Open Art Exhibition at Bridlington Spa. Handing-in day is Monday 5th November (9:30am – 12:30pm) at Bridlington Spa Gallery. The exhibition preview/opening is on Tuesday 6th November (4pm – 6pm). If you can make it, see you there! For exhibition opening times, please visit www.bridspa.com. © 2019 East Riding Artists.